Description: Learn math in an interesting way. Here is a nice and fun worksheet. 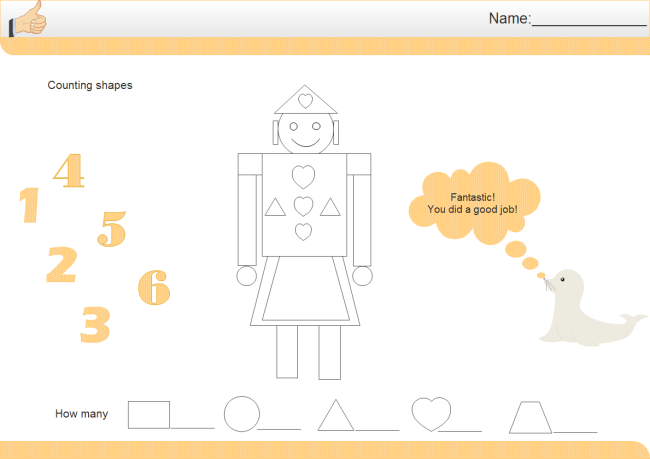 It helps kids learn to count number and recognize shapes. Created by Edraw Max, it is available in different formats.